Search Results for "phone concert"
The crowd at a concert with a phone. Fans at a concert waving their phones. People shake their phones at a rock concert. Fan person woman taking video and photos on mobile smart phone at concert party crowd cheering at rock music open air event with flashing light show and band on stage. 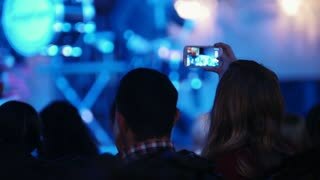 Asian woman person recording video with her phone in concert party with crazy flashing lights show and band on stage.